Who will get the furthest in the World cup, Japan or South Korea? At View from the Tofu Bowl, we have been running a poll on our facebook page to see who people think will get the furthest in the World Cup between the two. Thank you to everyone who took the time to click the little button and take part. The results are in and people think Japan have the better chance of going further in the tournament than South Korea, this is something that may well be reflected in the groups each nation has been drawn in. South Korea got a much more difficult group than Japan, so even though it could be considered they have took a better squad to the finals they will still find it very difficult getting past Germany and Mexico, especially after what we all saw in the game between Germany and Mexico last night. 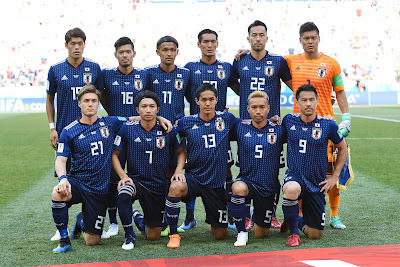 Japan have an older team, which could be considered more exciting, but here at the Tofu Bowl we consider it to be a ‘safe’ option instead of taking exciting up-and-coming talent. The Japanese squad suggest that they are likely going to try and play it safe while relying on their star players to create something magical and drag them out of the group. Either way both East Asian sides are going to find it very tough to get through to the next round, the final result of our poll was 63% think Japan will get further and 37% think South Korea will get further in the competition. Good luck to both sides, and it would be great to see both in the last 16, despite it being unrealistic.